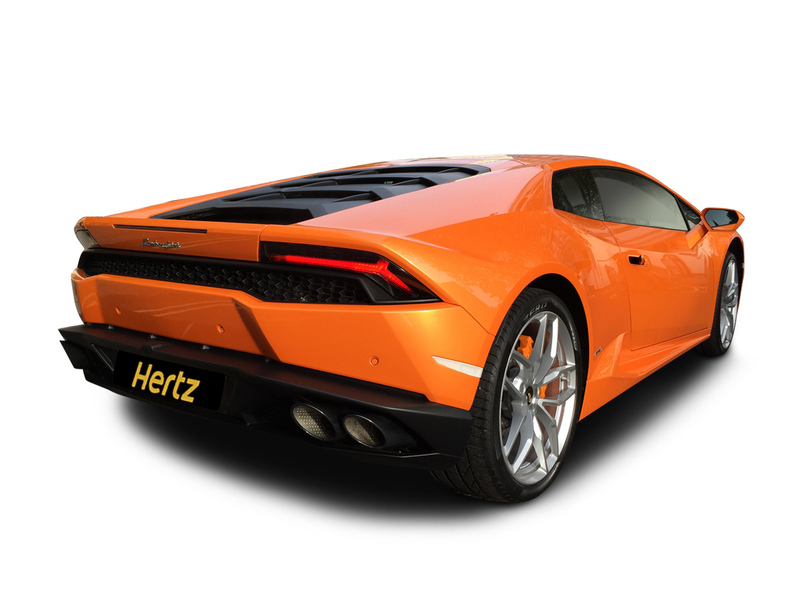 Drive the "Supercar of the Year"
Hertz Dream Collection presents the Lamborghini Huracan. It handles like a race car and drives like an absolute dream. 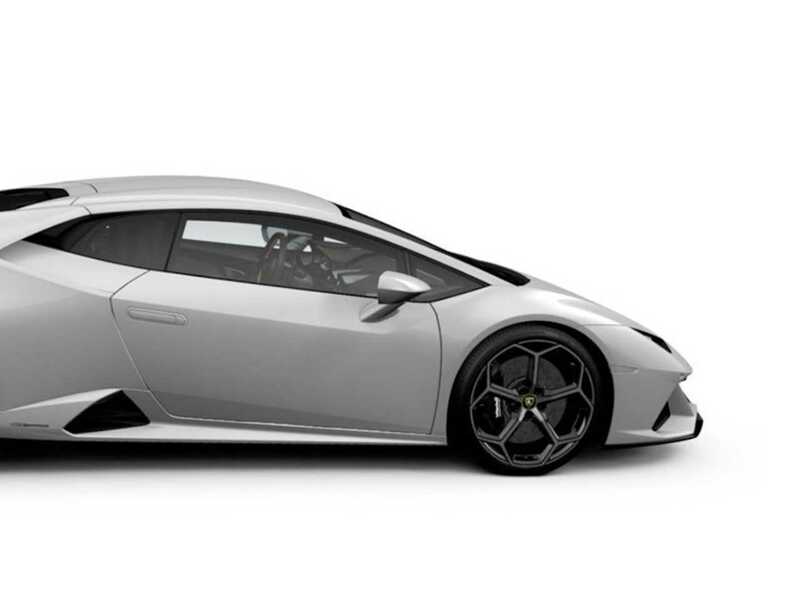 Turn heads wherever you go with this spectacularly good-looking car. 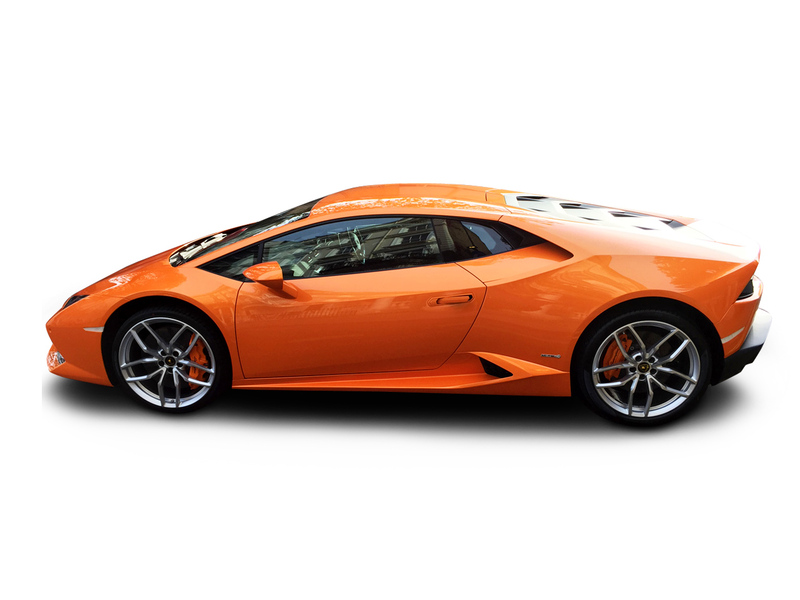 Instantly recognisable, this stunning Lamborghini will definitely get you noticed. 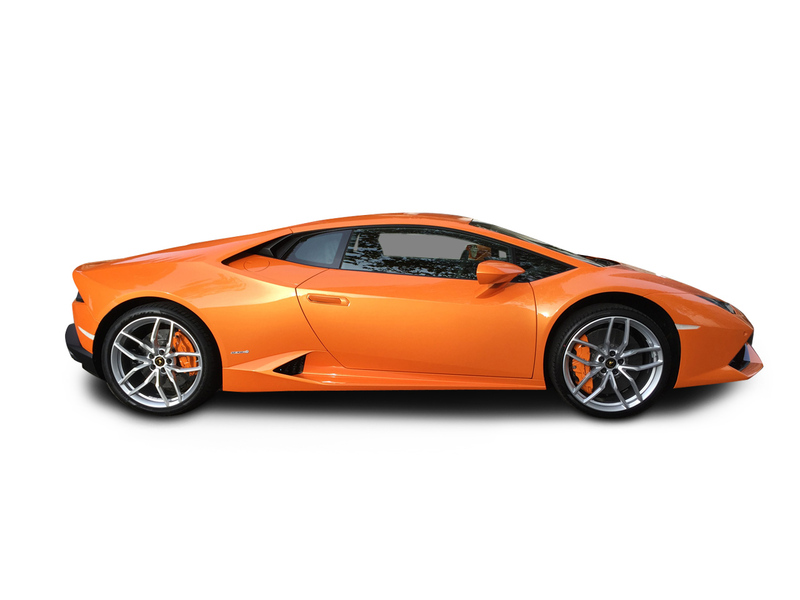 Browse our other luxury supercars. 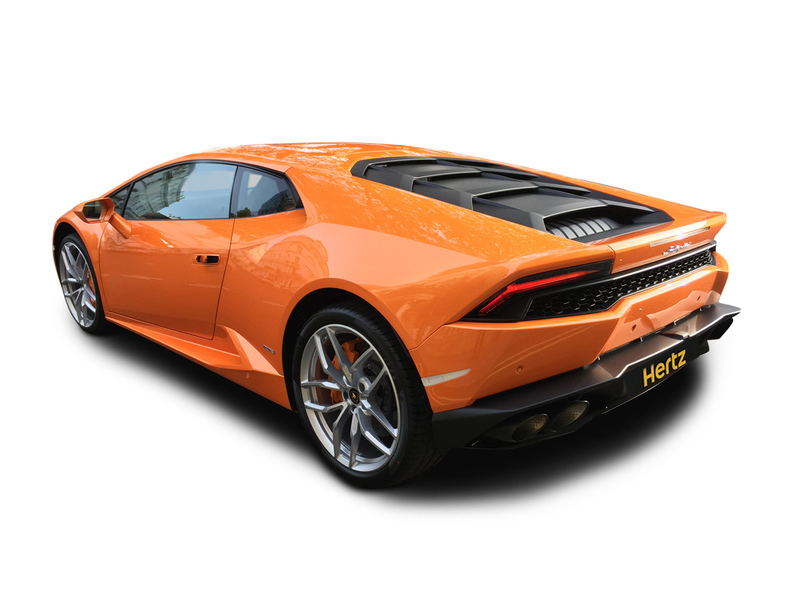 This powerhouse of a supercar will impress even the most commanding driver with its slick interiors and intimidating speed and acceleration. Quirt the throttle at the start of a motorway slip-road at 30mph and 4.2 seconds later you'll be at 70mph. Do the same at 50mph and 70mph is just 2.4 seconds away. 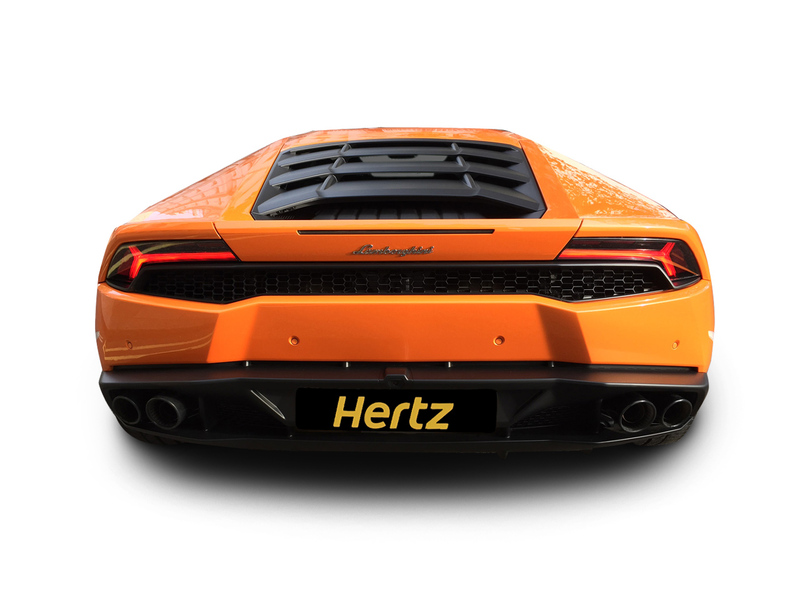 Click here to see what car brands make the Hertz Dream Collection. 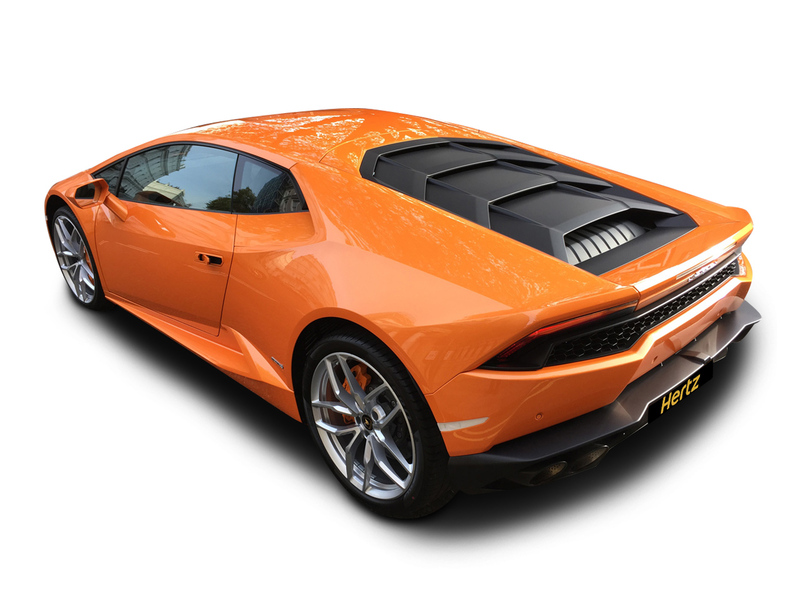 A favourite with speed fiends, Lamborghini's signature V10 does not disappoint. 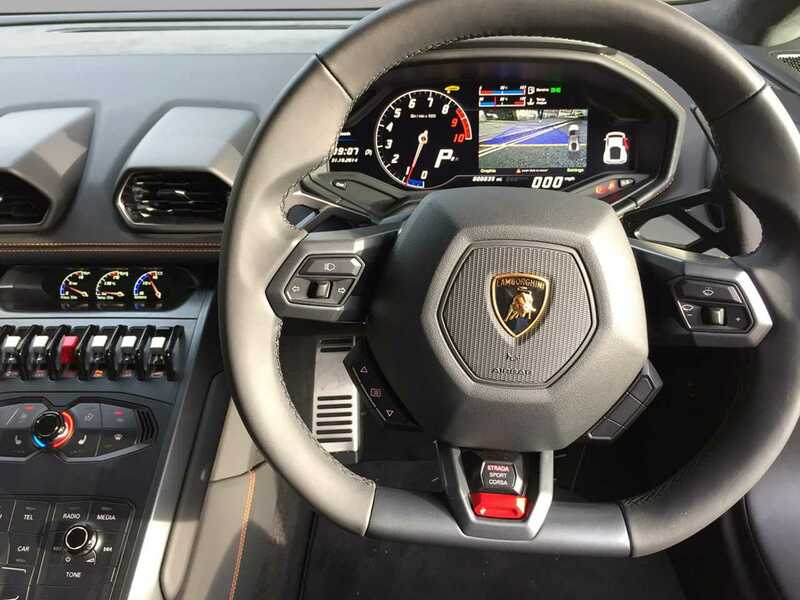 The Huracan drives just as sensationally as it looks. 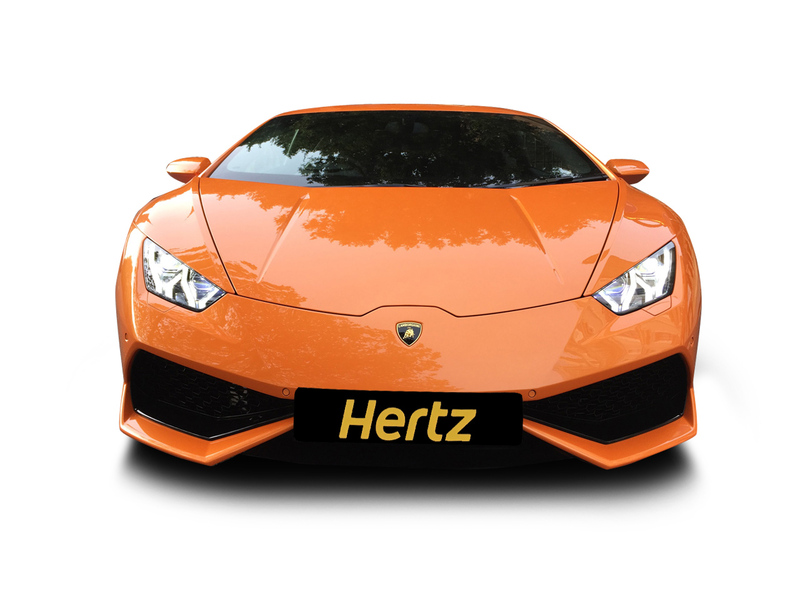 Hire with Hertz and assume the car is immaculate etc. 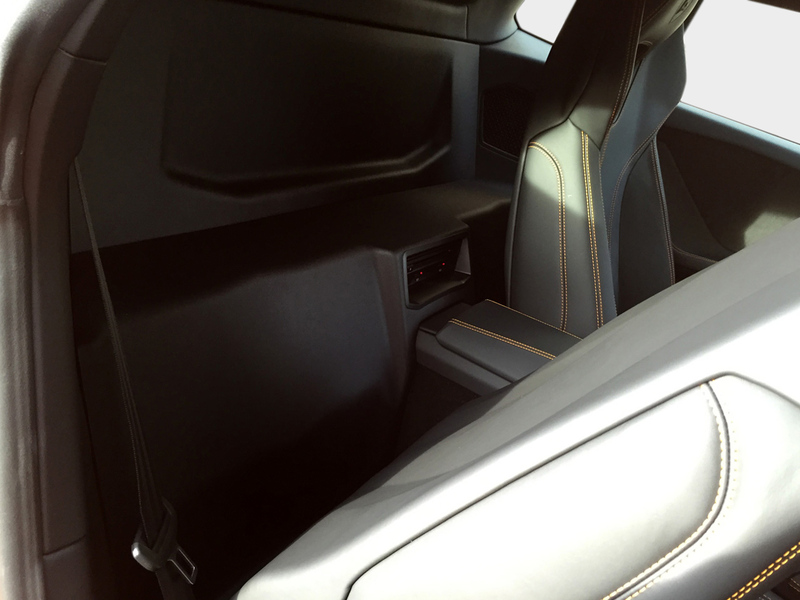 The luxury interior features a complete multimedia centre allowing you to adjust the top quality speaker system. 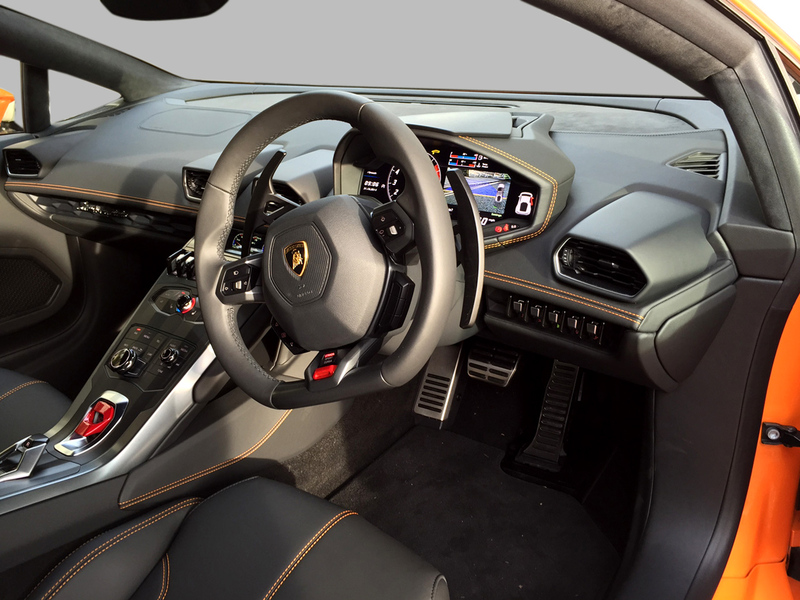 The state of the art navigation system features a high-definition seven-inch colour screen with Bluetooth capability and crystal-clear map images. 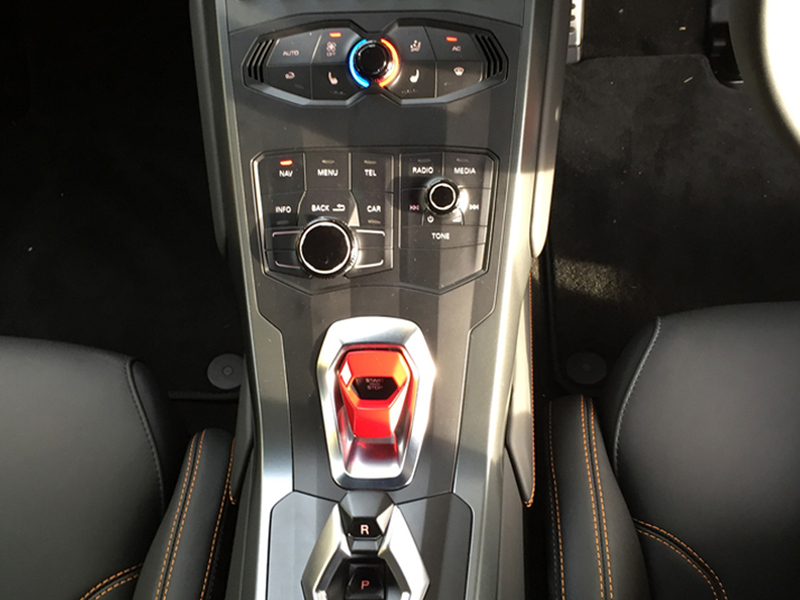 Our clients rave about the Lamborghini Huracan. Don't miss out on the ultimate driving experience and contact us to book. We have this model available to clients for a two-day, multi-day, or week-long rental. We can deliver to multiple locations across London as well as Heathrow, Gatwick or Manchester Airports. See more information.